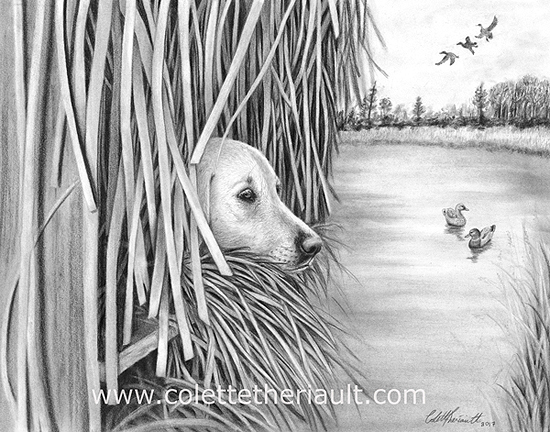 Maggie was an expert duck retriever who loved to please. Here she waits patiently for her master to give her directions. All labs are expert swimmers and love to retrieve.